LR-Link, a maker of networking solutions from China, has announced its first 10 GbE NIC, the wordy-named LREC6860BT. The new NIC is the first such retail product we've seen based on a design from Tehuti Networks, an Israel-based developer, bringing some more welcome competition to the 10GigE NIC market. LR-Link will be aiming at the (relative) mass-market for standalone NICs with this card, with the card now selling in Japan as well as online for less than $100. Under the hood, the LR-Link LREC6860BT NIC is based on Tehuti Networks’ TN4010 MAC, which is further paired with Marvell’s Alaska X 88X3310P 10 GbE transceiver. 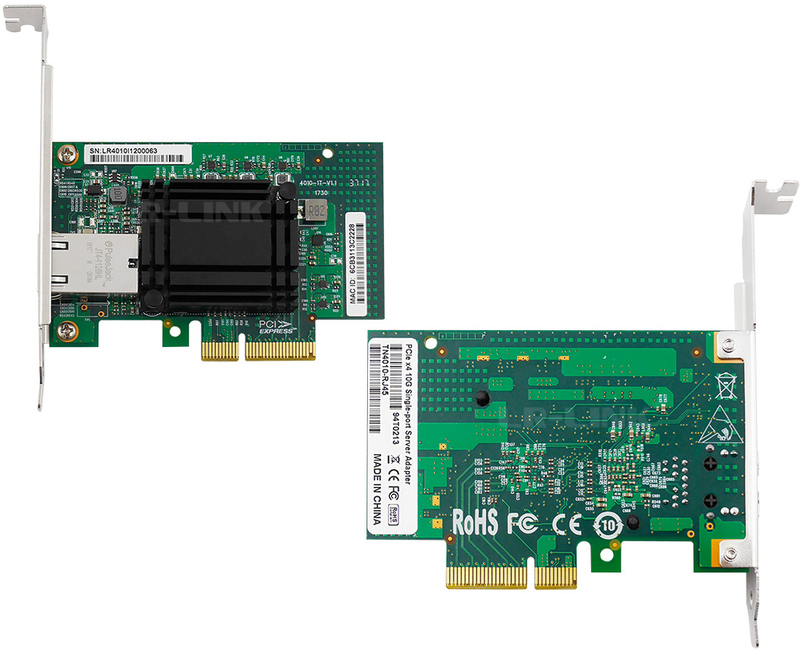 The card features a PCIe Gen 2 x4 interface as well as an RJ45 connector that supports 100M, 1G, 2.5G, 5G, and 10G speeds using Cat5e/Cat6/Cat6A cabling. The card fully supports contemporary operating systems from Apple, Microsoft, and VMware as well as various Linux distributives. Therefore, the NIC is drop-in compatible with most computers that are in use today. The LREC6860BT is currently available from at least one retailer in Japan for ¥10,164 ($91) with VAT, which is not very high considering the fact that PC components tend to cost more in Japan than in the rest of the world. Unfortunately products from LR-Link aren't readily available from retailers outside China and Japan, but the company’s devices (including the 10 GbE NIC) can still be purchased from official stores on AliExpress, Ebay, and JD.com. 10 GbE networks are not yet widespread in SOHO environments, primarily because there are not many reasonably-priced 10 GbE switches. Meanwhile, a number of companies have released their relatively affordable 10 GbE NICs based on chips from Aquantia over the past few quarters, anticipating demand for such cards from enthusiasts. Aquantia is not the only provider of solutions for inexpensive 10 GbE cards. Tehuti Networks is considerably less known because it is focused on working with enterprise OEMs rather than with AIBs and retail. Nonetheless, having a second player in the space for cheap 10GigE/NBASE-T silicon is an important part of driving down the cost of the technology –and boosting adoption – even further. I hadn't seen the MS510TX before. That looks like it could be a somewhat future proof solution for me. I really only need 5GbE between my desktop and my server, but I'd also like at least a couple of 2.5GbE ports for supporting future high speed wireless access points (I assume we will see some 802.11ax WAP/WiRouters with 2.5GbE ports). As it stands, 802.11ac 80Mhz 2:2 I can see 60MiB/sec or a little better between my laptop with an Intel 7265ac in it and my wireless network. With 802.11ax, especially with better client side MU:MIMO I can imagine many scenarios exceeding a single 1GbE link.